Every summer for 43 years, Harkins Theatres has sponsored a summer movie program for kids. 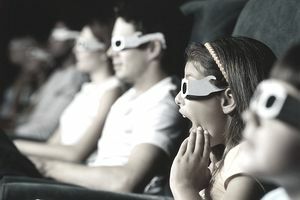 For less than $1 per ticket, children can enjoy a movie each week for ten weeks. All movies begin at 9:45 a.m. and tickets are issued on a first-come, first-served basis. Tickets are the same price for adults and children, and children of any age are only admitted with an adult accompaniment. Children aged two or under do not need a ticket, but if seating becomes limited you will need to place the child on your lap.